Below is one of the most effective methods for paying off your debt faster and saving yourself thousands of dollars. This technique will save you the most money when used on mortgages; however, it can also be used to pay down other debts quickly – like car loans or even credit cards. 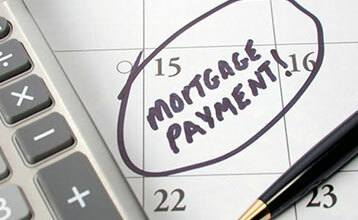 Making bi-weekly mortgage payments rather than monthly payments will usually reduce the time it takes to pay off your mortgage by several years. Here is how this trick works. Let’s say Mike and Cindy obtain a mortgage that has monthly payments of $1,000. Instead of paying $1,000 per month, Mike and Cindy could ask their bank to chop their mortgage payment in half and pay $500 every two weeks instead. Even though this doesn’t feel any different to them, it will shave 3.5 years off of their mortgage and save them more than $21,000 over the life of their mortgage (assuming that their interest rate stays the same). Here is how Mike and Cindy will save. If they made monthly payments, their bank would take $1,000 from their account twelve times a year (12 months x $1,000 monthly payments = $12,000 in annual mortgage payments). Now when they cut their monthly payment in half and their bank to withdraws $500 every two weeks, they end up making what amounts to one extra monthly payment each year (26 bi-weekly payments x $500 every two weeks = $13,000 in annual mortgage payments). This happens because two months in every calendar year have a fifth week. If you’re paid bi-weekly, these are the two months each year where you get three pay cheques instead of two. two weeks. Divide your monthly payment into quarters and pay that amount every week.